The H.Upmann No.2 Reserva Cosecha 2010 is a refined aged cigar, of 52 ring gauge, 6.1” (156mm) long and comes in a numbered black lacquered box. • Very complex smoke, with unique but balanced flavors, mostly nuts, leather and pepper. A very special cigar that should age beautifully in the years to come. 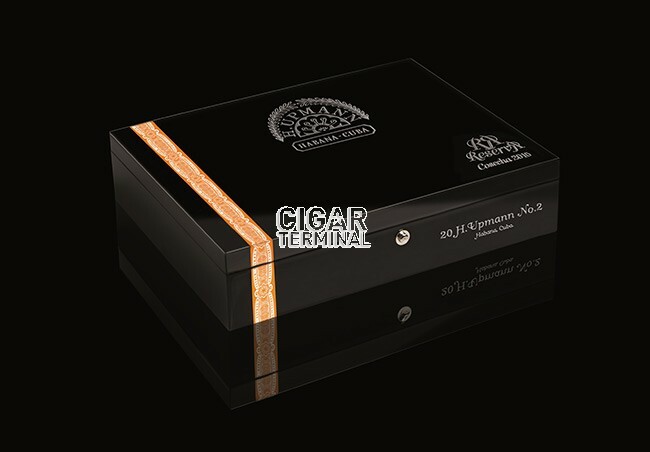 The H.Upmann No.2 Reserva Cosecha 2010 comes in a numbered high gloss black lacquered boite nature box of 20 cigars with Habanos packing code BN-VW-n-10-n-20. Upon opening the high loss lacquered box, one can just be amazed at the sight of the cigars. The wrappers are beautiful and very oily, of dark colorado-claro color. Each stick sports a second “Reserva” band, a beautiful black and silver band, with the Reserva silver embossed logo. To top it all, the cigars are of extremely good construction, it feels very solid in hand and very well rolled. No soft spots and just the right amount of resistance between the fingers. The wrapper smells at cold of leather with some citric acidity notes. At the foot, some sweet cereals smell, a mix of oatmeal cookie or fresh dough, and some sweet hickory. Once cut open, the No.2 Reserva Cosecha reveals a good resistance on the draw while flavors of nuts, twang, citrus, sweet cereals, and some bitterness from juniper and some hints of spice on the finish. As the head is firm, it is no surprise to see that the cigar is tightly packed when the cap is cut off. The draw is tight indeed, with lots of resistance, but nothing to worry about though. The flavors coming from the pre-light are very enticing and dominated with earth and wood, there are some hints of chocolate as well. It is very promising from an aging perspective. Upon lighting up the cigar, a smooth and round smoke reaches the palate. There is no harshness whatsoever, nor any sign of ammonia which is usually the case with most cigars first burns. Lots of wood, oak most specifically, also some light spices and hints of faint nuts. The first third confirms the hopes that the Reserva Cosecha showed on the cold draw and the first burn. The flavors are well balanced and playing well together. The dominant flavors on the opening third are nuts, almonds and peanuts, it is pretty sweet overall. There are also notes of salted caramel and some savory taste, a taste between meat and mushroom, it is very enjoyable. Some citrus notes also join the mix later on while some spicy characteristics arise. There are some intermittent black pepper notes and some paprika hints as well. The overall construction is amazing; the cigar is a medium-full body at this stage while the strength is medium. The burn is not perfect but the little waves are self-correcting after few puffs. The ash is holding on nicely while the smoke is cool and very tasty. 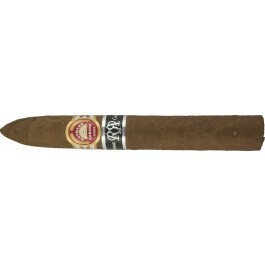 The second third is really where the H Upmann Reserva Cosecha shows its true self. The meaty leather is still dominant, along with the citrus notes. There is still a good amount of light spices, some black pepper mostly. Some dark coffee also joins the mix, but not too bitter, a more round flavor. The citrus is shifting from a lemon-based flavor towards a more blood orange-based taste. Some woody flavors also ramp up, and complete this very well balanced middle section. Some almost sweet cereals flavors also emerge, tasting something like dry pasta or sourdough. Up to this point the draw is still perfect while the burn is still kind of wavy at times but without affecting the smoke experience. The strength remains in that middle range. The ash holds on for the whole third and the cigar emits a sufficient amount of smoke. The final third shows up a different aspect of the Reserva Cosecha. The cereal flavor is gone, making room for some more hay kind of taste, while the leather ramps up even more. The strength also picks up here in the last part. It definitely tastes like an H.Upmann No.2 here, with even more spices, white pepper at this point. There are still some notes of wood, and of citrus or hints of flowers. It is nevertheless still pretty sweet until the nub despite a full body character. In summary, this is a delightful cigar right out the box. It will definitely get better with more age. A great addition to the H.Upmann marca. Grab a box while you still can.